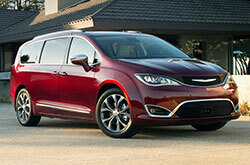 Click "research" under the vehicle images below to read Chrysler 200, 300 and Town & Country reviews. 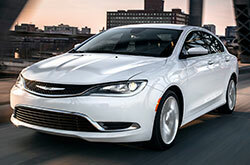 Each is loaded with vehicle specs and highlights, including information about Chrysler's new vehicle warranties, safety features, fuel economy (MPG), trims, cabin amenities, available colors and much more. If you'd like to evaluate our vehicles against the competition, click "compare" to read revealing Chrysler VS Toyota, Mazda, Honda, Subaru, Nissan, Buick and Audi car comparisons, among others. 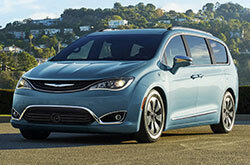 Just a few examples include the Chrysler 200 VS Mazda6, Nissan Altima and Buick Regal, or for minivan shoppers the Chrysler Town & Country VS Toyota Sienna, Honda Odyssey and Nissan Quest. If you're in the market for a new car or minivan and are considering a Chrysler, make sure you visit Airpark in Scottsdale, Arizona. 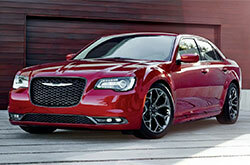 We have one of the largest selections of Chryslers for sale in the Phoenix area and always have access to the most current Chrysler financing and lease incentives. Stop by 7801 E. Frank Lloyd Wright Blvd to explore our lineup and get details about our latest specials! To schedule an appointment ahead of time, please use the contact form conveniently located on the right upper-hand corner of this page. 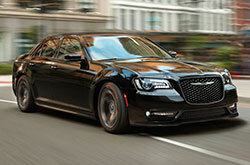 To read Chrysler reviews click "research" above or choose "compare" to see our 200, 300 and Town & Country comparison archives. Each archive includes Chrysler VS Cadillac, Nissan, Hyundai, Honda, Lexus, Volkswagen, Audi and BMW comparisons, among others, for each model in the lineup. All information included on these pages was gathered and verified by an independent automotive research company, so you can be assured that you're getting unbiased side-by-side comparisons. 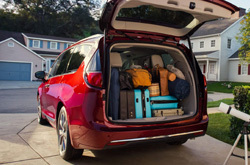 Airpark's reviews provide a wealth of useful information that will help you with your new vehicle search; in each you'll find details about available exterior colors, body styles, seating space, standard features, MPG, powertrain specifications and much more. Airpark's reviews also feature video walk-arounds, photos, and links to inventory, virtual showrooms and a Value Your Trade vehicle appraisal form.